What is Profit, and Why is it Important? When you’re starting out, making a profit might seem like a far off dream. But it’s that profit that will allow you to help you expand your business in the future. I started my business as a hobby. That start-up phase was an expensive time, but because I was thinking of it as a hobby rather than a business, I was happy to just be recouping most of my expenses through my sales! Does that sound familiar? Things start to get exciting when you make a little bit of money above the cost of your expenses. Real money. 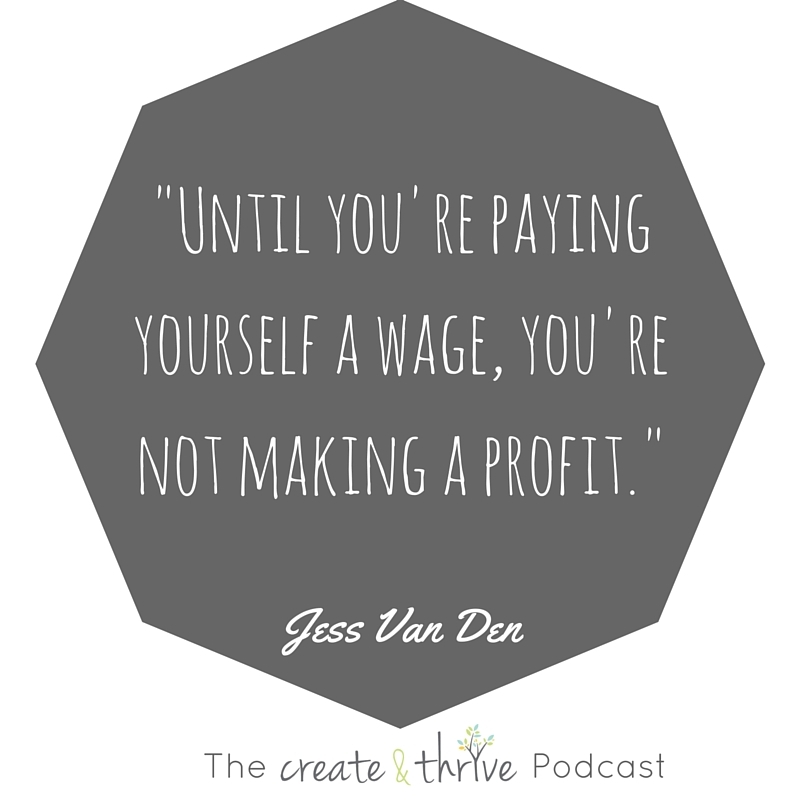 Until you’re paying yourself a wage, you’re not making a profit. The money you make above your expenses is your wage, and your profit is over and above this amount. Profit helps you to grow your business. It allows you to hire staff, start a new side venture, or push the business in a new direction. Listen in and see how you can turn your biz into a profitable one, and exactly why that is so important. Turnover is the amount of money you bring in. Most people start off with just covering the costs of your business. Separate your business and personal expenses to make your bookkeeping easier. Business bank accounts are really set up for bricks and mortar stores who need Eftpos and other merchant facilities. If all of your income is going into your business account, pay yourself a wage into your personal account. Set up a direct debit to pay into your personal account once you’re at the point that you know your business is at a certain point where you are confident that the money will always be there. If you’re not ready for a direct debit, add a reminder to your calendar to work out your wage for that week/fortnight/month. Think about what investments you should be making for you and your business. If you haven’t got a business plan, it’s time to put something together. Spend money on educating yourself for your business. You might not be at the point where you’re making profit, don’t beat yourself up.. Unless you pay yourself, you won’t be able to do this forever. What stage are you at in your business? Feel free to leave me your thoughts below!